As a child of the (mid) 70s, Star Wars will always hold a special place in my heart! And lucky for me, the kids love it too. 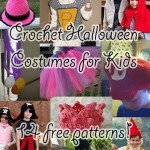 Which means a playroom full of lightsabers, Jedi cloaks, Queen Amidala costumes, and more. 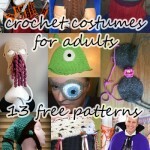 Perfect for Halloween, scifi conventions, special gifts and every day – if the Rebel Alliance is big in your house, you’ll enjoy these 10 free Star Wars crochet patterns! 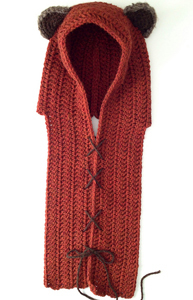 Yub Nub Scoodie by Kristen Stevenson, a Ravelry download: For Ewoks big and little, this hat is perfect – and warm! 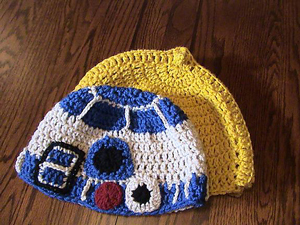 Star Wars Droid Beanies by Jen Spears, a Ravelry download: These ARE the droids you’re looking for! 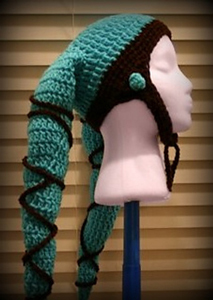 Star Wars Twi’lek Hat by Sara Jean, on Stitching Up A Storm Crochet: A lesser known character with a memorable look! 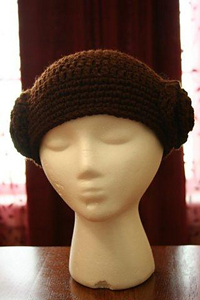 Star Wars Princess Leia Hat/Wig by Sara Jean, on Stitching Up A Storm Crochet: Only wear it if you’re a member of the Rebel Alliance and a traitor! Baby Lightsabers by Michael Snow, on Michael Snow at Lulu: It’s important for the younglings to start Jedi training early! 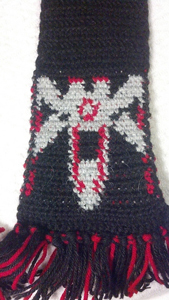 X-wing chart (Star Wars) by Emily M, on emily’s website: Great for scarfs, graphgans, granny square blankets, you name it! 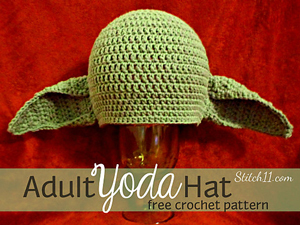 Adult Yoda Hat by Corina Gray, on Stitch11: Do or do not, there is always crochet! 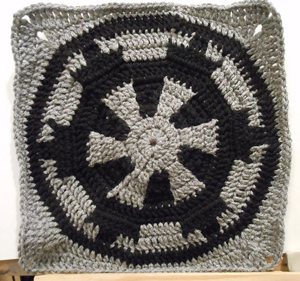 Star Wars Imperial Square by Mallory Walleck, a Ravelry download: Perfect for your next trip to Hoth, particlarly when combined with her TIE-Fighter Square! That’s no moon…. 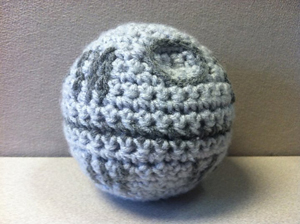 Plushie Death Star by Meg-Ann Skilton, a Ravelry download: Hold the fate of the Imperial Forces in your hand! 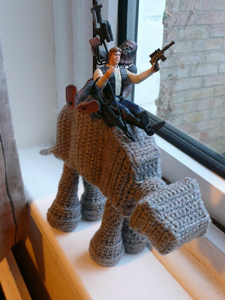 Star Wars AT-AT Walker by Nancy J, a Ravelry download: I’m pretty sure your cat would love this as their next cosplay! 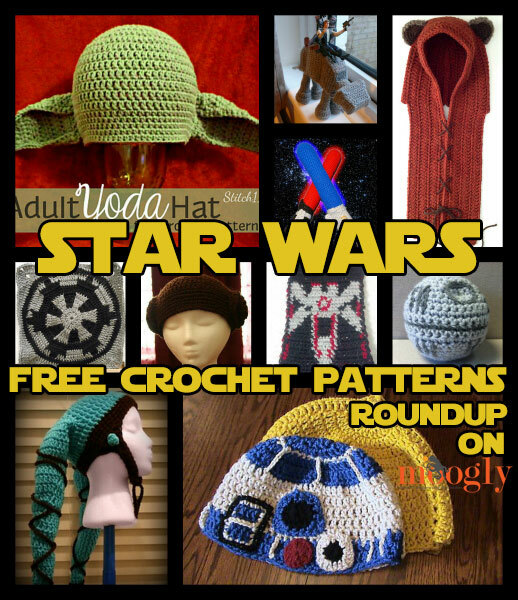 I hope you’ve enjoyed this trip through Star Wars crochet patterns! There are tons of pay patterns too – many of which are absolutely worth the price, at least judging from the photos. There are also lots of Star Wars Amigurumi… might have to make a future roundup for those if you’re interested? 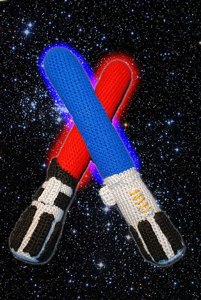 Either way, Star Wars fan or not, may the Force be with you as you crochet the day away! These are fabulous!!! Thanks for the links!! 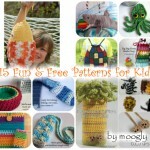 Thanks for posting these links! They are great items. 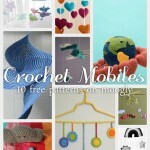 I pinned as many as I could and posted them on facebook. People love these items.